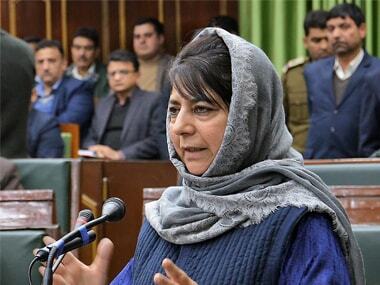 Srinagar: Rattled by the dissent within her party, former chief minister and PDP president Mehbooba Mufti has stripped the rebel MLAs from the job of handing the problems of party workers and has instead entrusted the work to her loyalists. Mehbooba has even given party positions to those who contested against the PDP in the 2014 elections in a bid to create an alternate leadership within the party. The former chief minister is also holding frequent party meetings to check rebellion within her party. 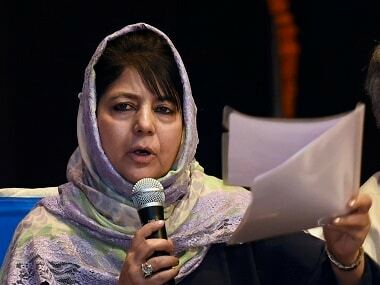 Sources said that Mehbooba has given the job of handling the workers' problems in Rajpora Assembly constituency to its youth leader Waheed-u-Rehman Parra and has sidelined former finance minister Haseeb Drabu. Drabu has not been attending the meetings of the party convened by Mehbooba, since the BJP withdrew support to the PDP. PDP sources said that it was unlikely that Drabu, who was earlier sacked by Mehbooba for stating that Kashmir was not a political issue, could bag the mandate in the next Assembly elections on a PDP ticket. 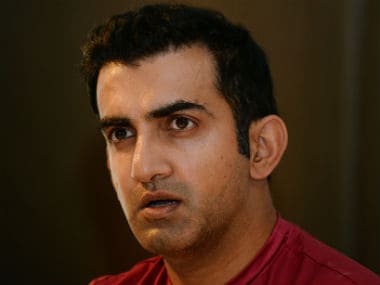 Similarly, in Baramulla, the PDP chief has asked Irshad Kar to handle the affairs of the Bandipora district in addition to his position as the Baramulla district president. Kar had contested the 2014 elections as an Independent candidate against the PDP in the Sopore Assembly segment. He was recently given additional charge of Bandipora district after party MLC Yasir Reshi was removed from the post. He had allegedly rebelled against Mehbooba, claiming she was promoting "dynastic rule". Kar would further keep a check on another rebel MLA, Javid Hassan Beigh, PDP’s Baramulla MLA. Beigh said that the PDP chief used to humiliate the party MLAs. "Mehbooba has humiliated the party leaders. She sacked Drabu as minister without giving him a chance to explain his position, while Abdul Haq Khan was dropped as minister only on the third day of the death of his mother," he said. "I was not consulted when Kar was made the district president of Baramulla, even as he had contested against us in Sopore," Beigh said. On the Gulmarg Assembly seat, which is represented by Abbas Wani, the PDP chief has asked former minister Nayeem Akhtar to handle the affairs of the party. Wani said that Akhtar "was being promoted by Mehbooba to pursue her policies of nepotism." Wani said that Akhtar had been interfering in the work of Tangarmag Assembly constituency earlier as well. "I have been raising the issue that the MLAs have been facing difficulties, but no one was listening in the party," he said. Akhtar is only an MLC and has not been elected from any of the constituencies. Earlier, Akhtar was made to chair a meeting of party workers in Srinagar in March 2017. Back then, the Zadibal MLA, Abid Ansari, had walked out saying, "We can't listen to a dictation from Akhtar, who has no public support." Meanwhile, the PDP has entrusted the job of handling the workers' problems in Srinagar to its district president and MLC Khurshid Alam, who is known to have differences with Abid. Reacting to this, Abid said that Alam was benefitting from "Mehbooba's and her uncle Sartaj Madni's policy of favouritism". Madni is the vice-president of PDP. He said that Alam got many of his 'favourites' employed within the government. Besides the five MLAs, two MLCs have also spoken against the party, even as the number of disgruntled legislators was higher in number. Apart from Beg, Abbas, Drabu, Abid and his nephew Imran Ansari as well as PDP’s Noorabad MLA, Abdul Majeed Padder, two PDP MLCs Yasir Reshi and Saifudin Bhat form a rebel group. Abid said that the efforts for the formation of government in the state were going on. Beigh also said that "we would like that the government is formed immediately." 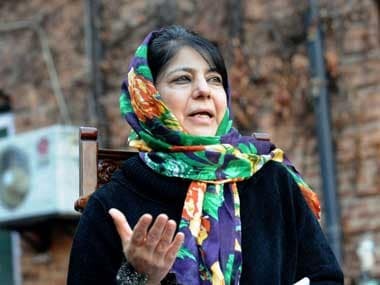 PDP sources said that the rattled Mehbooba, besides holding one-on-one meeting with the MLAs, has also been organising meetings of party workers from different districts. Former minister and PDP's Sonwar MLA, Mohamamd Ashraf Mir, said: "The party chief has been organising the meetings every day. We have been holding meetings with different district office bearers. We have already held meetings in Srinagar, Ganderbal and Budgam districts. Yesterday (Monday), a meeting of workers from Sumbal and Sonawari areas was held." 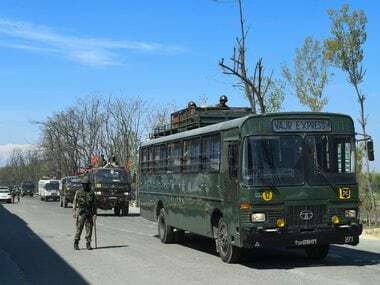 PDP MP Nazir Ahmad Laway, meanwhile, said that Mehbooba has convened the party meeting on Wednesday as well to commemorate the party’s foundation day on 28 July.